Well, maybe. According to the AP, physicists working at the Large Hadron Collider are expected to announce that they have found convincing evidence for the existence of the Higgs Boson, or the “God Particle”. If their observations are confirmed, than this could be the biggest discovery in physics in decades. Here is part of the story. Scientists believe the “God particle” that might explain the underpinnings of the universe is real, and they are about to present their evidence to the world. Physicists at the world’s biggest atom smasher plan to announce Wednesday that they have nearly confirmed the primary plank of a theory that could shape the scientific understanding of all matter. The idea is much like gravity and Isaac Newton’s discovery: It was there all the time before Newton explained it. But now scientists know what it is and can put that knowledge to further use. The focus of the excitement is the Higgs boson, a subatomic particle that, if confirmed, could help explain why matter has mass, which combines with gravity to give an object weight. Researchers at the European Organization for Nuclear Research, or CERN, say that they have compiled vast amounts of data that show the footprint and shadow of the particle – all but proving it exists, even though it has never actually been glimpsed. But two independent teams of physicists are cautious after decades of work and billions of dollars spent. They don’t plan to use the word “discovery.” They say they will come as close as possible to a “eureka” announcement without uttering a pronouncement as if from the scientific mountaintop. CERN’s atom smasher, the $10 billion Large Hadron Collider on the Swiss-French border, has been creating high-energy collisions of protons to investigate dark matter, antimatter and the creation of the universe, which many theorize occurred in a massive explosion known as the Big Bang. The phrase “God particle,” coined by Nobel Prize-winning physicist Leon Lederman, is used by laymen, not physicists, more as an explanation for how the subatomic universe works than how it all started. I really wish that they wouldn’t refer to the Higgs Boson as the God particle. Unless someone is planning to start a new religion that worships sub-atomic particles, it is neither an accurate nor appropriate term. Also, the writers of this article really should know better than to refer to the Large Hadron Collider as an “atom smasher”. The LHC is a particle accelerator. Writing atom smasher sounds as if they don’t know much about the subject they are writing about. You can find up to date and accurate information from physicist Matt Strassler at Of Particular Significance. It would seem that the physicists at CERN have detected subatomic particles moving faster than the speed of light. This is impossible, according to Einstein’s theory of relativity. So, either we’re about to see a revolution in the way we see the universe or there is a mistake. 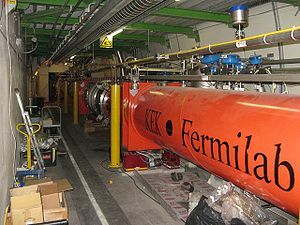 A meeting at Cern, the world’s largest physics lab, has addressed results that suggest subatomic particles have gone faster than the speed of light. The team presented its work so other scientists can determine if the approach contains any mistakes. The Cern team prepares a beam of just one type, muon neutrinos, and sends them through the Earth to an underground laboratory at Gran Sasso in Italy to see how many show up as a different type, tau neutrinos. 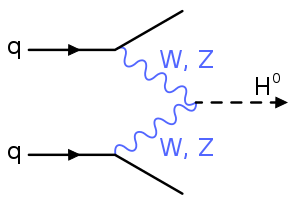 In the course of doing the experiments, the researchers noticed that the particles showed up 60 billionths of a second earlier than they would have done if they had travelled at the speed of light. This is a tiny fractional change – just 20 parts in a million – but one that occurs consistently. The team measured the travel times of neutrino bunches some 16,000 times, and have reached a level of statistical significance that in scientific circles would count as a formal discovery. There is good reason to believe that the speed of light is the ultimate speed limit. As any object moves faster, it gains mass. We don’t notice this because, at the speeds we move the gain is too small to be detected. As you approach the speed of light, the gain in mass is larger and larger. 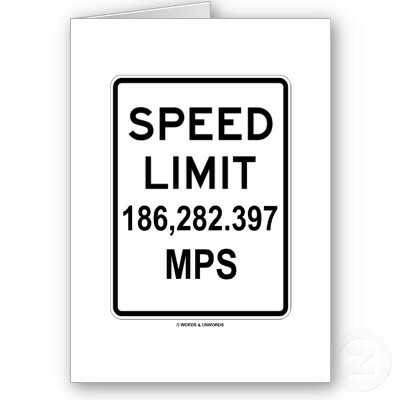 In order to achieve light speed the mass would increase to infinite. This is obviously impossible. This gain in mass has been detected in subatomic particles that have been accelerated to 99.99999% of the speed of light. Scientists have speculated on particles that move faster than light called tachyons. These particles would be unable to slow down to the speed of light. Tachyons have never been detected (how would you?) and there is no good reason to suppose they exist. But, here’s something I saw in the wikipedia article on tachyons that seems to have some relevance to this story. In 1985 it was proposed by Chodos et al. that neutrinos can have a tachyonic nature. Today, the possibility of having standard particles moving at superluminal speeds is a natural consequence of unconventional dispersion relations that appear in the Standard-Model Extension, a realistic description of the possible violation of Lorentz invariance in field theory. In this framework, neutrinos experience Lorentz-violating oscillations and can travel faster than light at high energies. I am going to have to work on translating that to English. Maybe this article will help. Most likely this will turn out to be an error in measurement and I have to commend the scientists for their caution. If this turns out to be valid than maybe something like warp drive is not too far away.